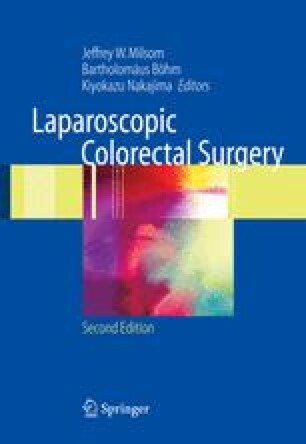 Laparoscopic surgery does present a unique challenge to the anesthesiologist. The understanding of the physiologic changes associated with increased abdominal pressure and positioning changes during surgery has improved over the years. Proper anesthetic management requires cooperation with the surgical team as respiratory and cardiovascular parameters vary with each stage of surgery. Postoperative issues such as nausea and vomiting and ileus are more easily managed with preoperative planning. With proper anesthetic management, laparoscopic colorectal surgery holds the possibility of more successful complex procedures and perhaps ambulatory surgery.